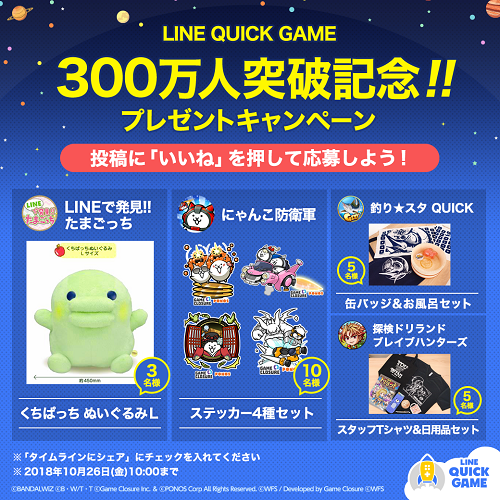 Tokyo – October 19, 2018 – LINE Corporation (LINE) today announced that LINE QUICK GAME, a game service offering titles playable within the LINE messenger app, has reached 3 million users. LINE QUICK GAME brings users access to HTML5 games directly from the LINE chat screen, without installing other applications. Because users only need the LINE app to play, games are simple and easy to access and enjoy. 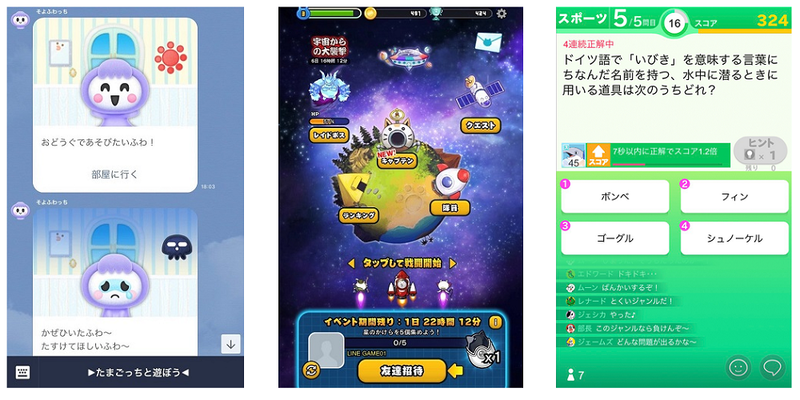 Users can connect with their LINE friends, and enjoy games from familiar genres such as puzzle or shooting, with more games on the way including titles that utilize chat and various other LINE features. 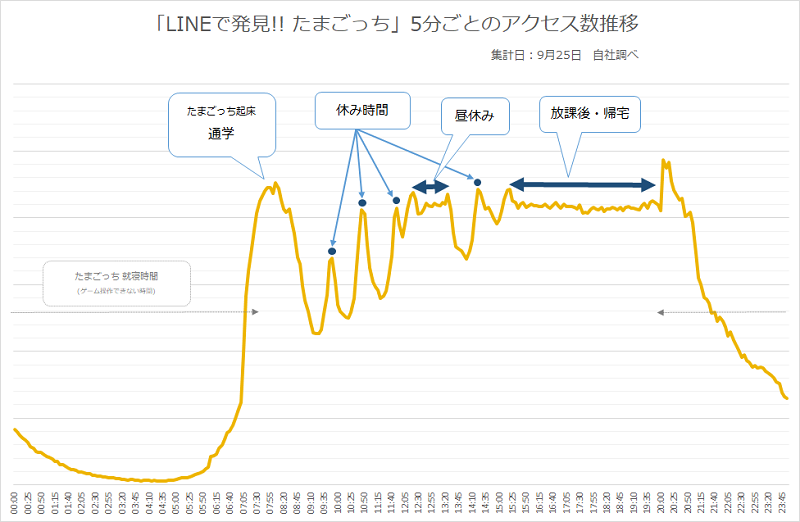 Under the concept of “offering excitement right away”, LINE presents a new way to play for its 76 million monthly active users in Japan. *Note: users must leave 'Share on Timeline' checked to be eligible. LINE QUICK GAME can be accessed from the LINE chat screen by tapping the '+' button and choosing the rocket icon. Users can pin the official accounts of their favorite titles to the top of the chat screen, making it easy to play at any time. When players add the LINE Let's Quiz official LINE account, they receive new quiz questions daily, hand-crafted by quiz master Yohei Furukawa. In the official release, players receive Premium Gacha tickets for clearing stages, which can reward Gold Cards that boost their score in quizzes. They can also invite their LINE friends to the game. The practical yet funny questions are just the kind of thing players will want to tell somebody about, and interesting answers they discover can be shared with friends and family from the app. There are now more national quiz championships as well, with six held every day. LINE Let's Quiz stands apart from other quiz games, with explanations given for all answers. Battle Cats Galaxy is a shooting game filled with quirky and disturbingly cute characters. The controls are simple, but the game is filled with excitement. Players simply drag their finger left and right to let loose a torrent of bullets, and the chaotic battle spreads out to fill the entire screen. Fighters can be gradually powered up, and new stages tackled. The new raid boss feature sees players cooperate to fight a boss over the course of a week. When users team up and take out bosses, they can earn coins, gacha spins and more. © Game Closure Inc. ＆ © PONOS Corp All Rights Reserved. LINE QUICK GAME will strive to select the best original and third-party games to bring users quick and easy gaming experiences of the highest quality. 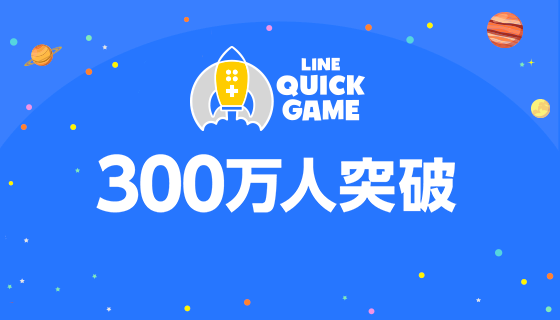 Under its corporate mission “CLOSING THE DISTANCE”, LINE will continue to cooperate with external content partners around the world in order expand the variety of content for LINE GAME and LINE QUICK GAME and strengthen connectivity to inspire communication amongs users. Compatible with LINE application version 8.13.0 and above.